Made of super sculpey and painted with acrylics. 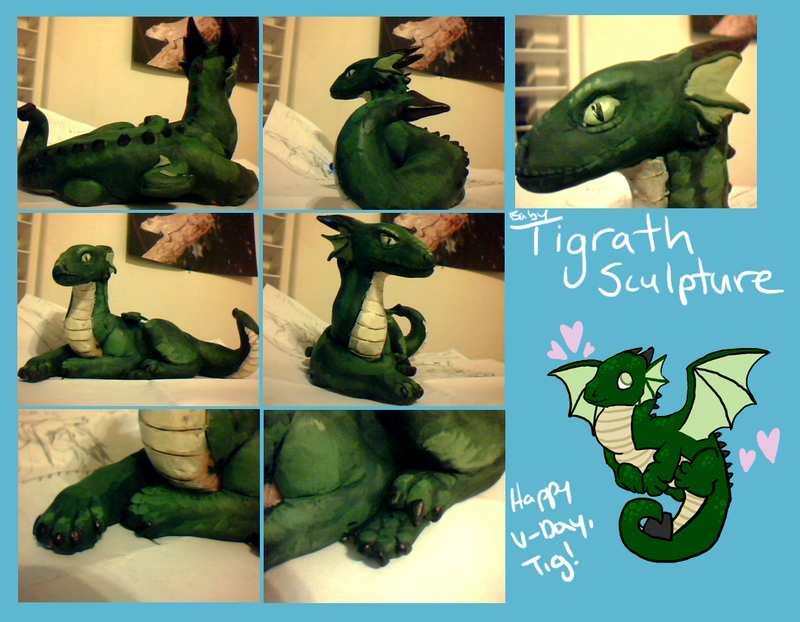 I made this for Tigrath for Valentine's Day. He never checks my FA because I always link him to the pictures I post of him directly, so he shouldn't see it here. I already mistexted him a picture of it, though, and who knows if my barricade of DON'T OPEN THAT FILE texts stopped him from spoiling the surprise. Sculpture is really not my best medium, but I like to make unique and meaningful things for V-day. He is always receiving dragon figures from people and he especially likes the ones that look close to Tigrath... and now he can have one!